Now you might be asking: What can you do with Python? 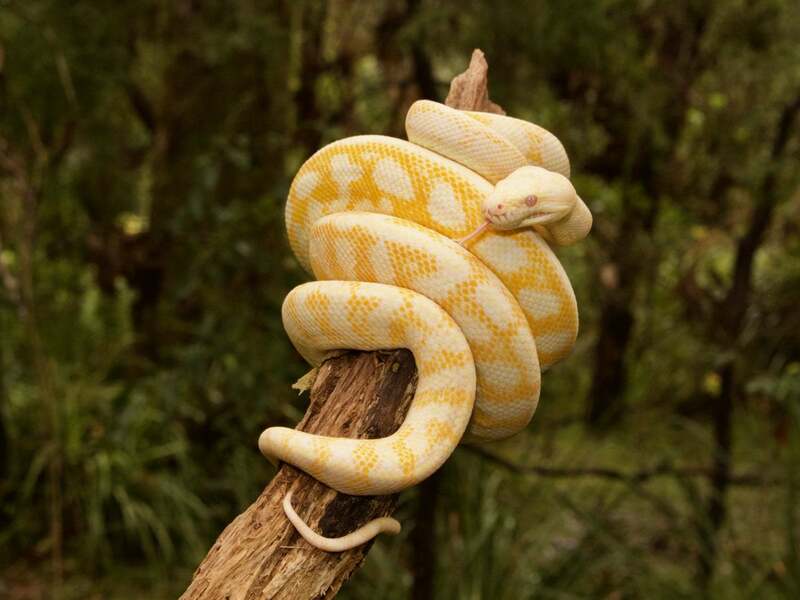 Python is the official language of Google, it powers Instagram, and it even runs on chips Intel tests. It’s a scripting language that can automate all sorts of tasks, big or small. You can do just about anything with Python that you can do with other languages. But it also has some distinct advantages. Many of Python’s benefits stem from the wide variety of libraries it has amassed since launching in 1991. These libraries can be thought of as tools or programs that handle a lot of the coding for you. For example, libraries like Requests, BeautifulSoup, and Scrapy can extract data from webpages. While Pandas, SciPy, and NumPy can help you manipulate and analyze massive datasets. That’s why developers often turn to Python for data science, statistics, web scraping, and artificial intelligence, but it’s also advancing into web development. Python and its tools can even open doors to a new career or a promotion. The average yearly salary for a Python developer in the U.S. is more than $100,000, according to Indeed. 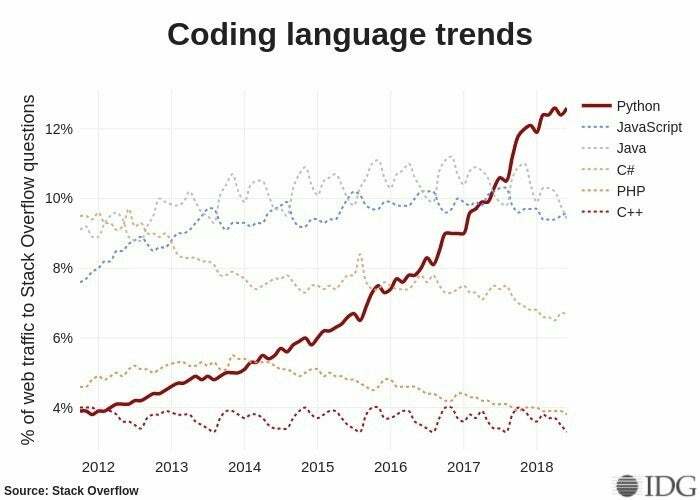 Python is now the most trafficked language on Stack Overflow. So how can you get started? If you don’t have time to attend a physical coding school or you want to save money, learning Python in an online class is a worthy alternative. I’ve culled some of the best of those online courses below. Some courses I tried myself, but others I selected based on their customer reviews, popularity, and breadth of material. With various lengths, difficulty levels, and specialization, you’re sure to find one that meets your particular needs. Lynda.com is just one of many online-learning sites that offer an array of Python courses. For a monthly subscription fee, online education websites like Lynda, Coursera, Skillshare, and others offer a wide variety of courses you can choose from for learning at your own pace. Subjects range from design to business to photography. But coding is one of the most popular, which means you’ll encounter a multitude of options for learning Python. What’s more, subscription options typically offer a free or discounted trial period, so you can gauge your interest before committing to the full price. This class on Coursera from the University of Michigan is for complete beginners to programming. After a general introduction to programming, the course teaches you how to use Python to extract data from the web and work with databases. It’s a good demonstration of how Python can be useful for managing large datasets. The course suggests eight hours a week for four months. Knowing how to work with IDE software, which stands for integrated development environment, is essential for any coder. Essentially, IDEs are advanced text editors for writing code. 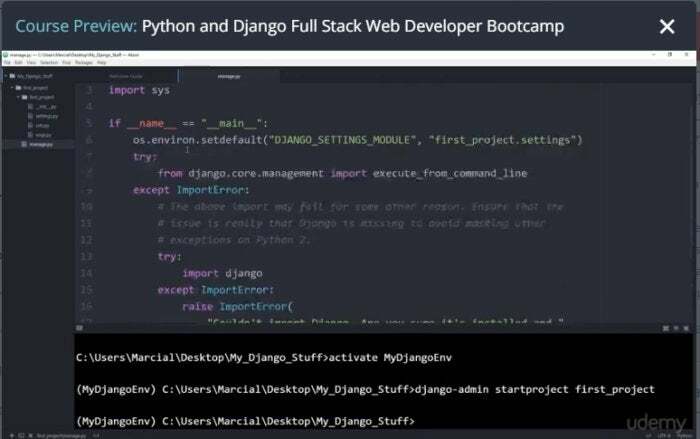 This course from Lynda teaches you the basics of Python with PyCharm, which is the one of the most widely used IDEs for the language. 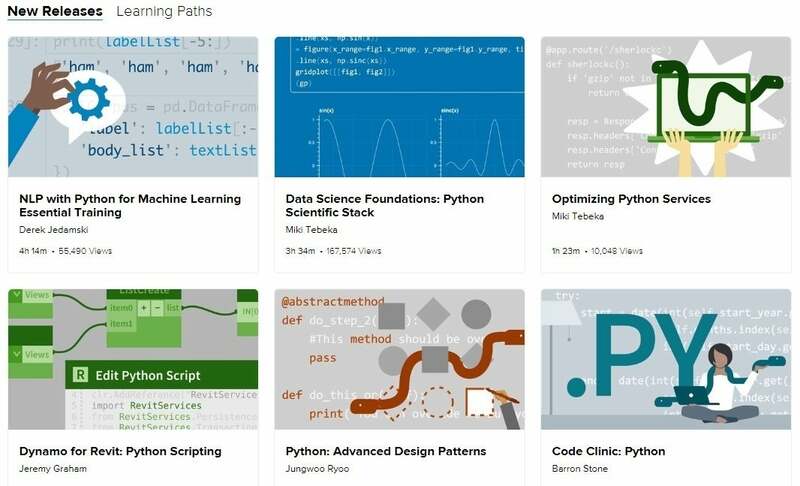 DataCamp is an online portal full of new and regularly updated courses mostly focused on data science for R and Python languages. The website offers different skill and career tracks for Python, consisting of multiple courses with a particular focus, be it programming, data analytics, or data science. Each course on the site features interactive exercises, videos, and quizzes to help you learn. Expect to get a grasp on extracting and working with data, using statistical libraries such as Pandas and NumPy, and creating charts to visualize your data. DataCamp also has daily quizzes and projects you can tackle using real-world datasets. Both new coders and developers looking to brush up on their skills will find this site worthwhile. 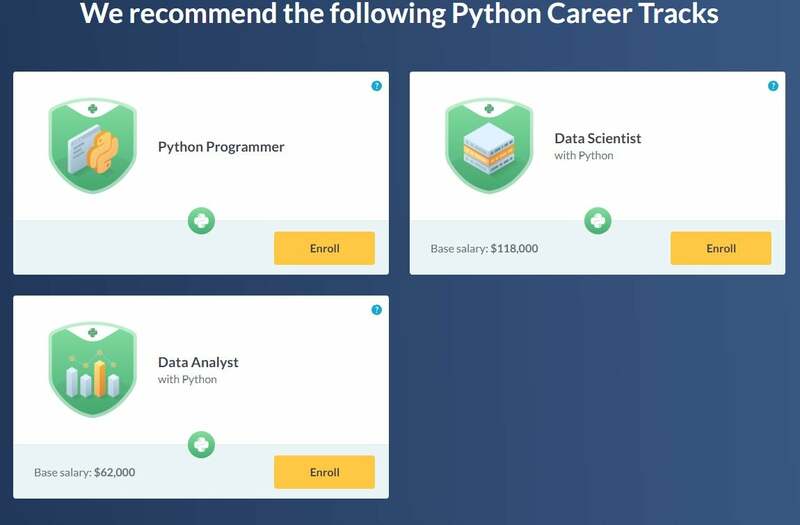 Choose one of DataCamp’s career tracks and then follow the prescribed selection of courses toward that goal. If you’d like to buy permanent access to a single course, then you may want to consider enrolling in an online class from websites like edX, Udemy, and Udacity. These courses are typically much longer and have more content than classes on subscription-based online education sites. And don’t be intimidated by the prices: You can regularly find classes marked down by as much as 95 percent. Microsoft created this free edX course to promote coding and provide an overview of the language for complete beginners. It teaches you the basics of Python through Jupyter Notebooks, which is an interactive coding environment hosted in a web browser. Expect to learn the essentials of programming including how to reuse functions. After you complete this course, you can take the next level from Microsoft called Introduction to Python: Fundamentals. This online course from MIT on edX is perfect if you’re looking for an introduction to computer science with Python. It begins with a general overview of computer science before going into data science techniques. The class recommends 15 hours a week across nine weeks, making it more demanding than many introductory courses. Real instructors from MIT teach the course through a combination of lecture videos, readings, and assignments. Like a typical college class, you’ll be expected to take tests and complete a final project. Be warned: This class isn’t easy and requires a working knowledge of algebra. Preview courses in Udemy to see what’s in store. One of Python’s most powerful uses is in artificial intelligence and machine learning. This “nanodegree” course from Udacity goes over all the basics of programming and then applies your new knowledge to build a neural network. The course recommends 10 hours a week over a two month period. Machine learning can help teach a program to make better decisions based on data it consumes. The “smart reply” pre-written responses in Gmail is one example of machine learning and AI at work. According to an MIT Technology Review Custom and Google survey, more than one-fifth of U.S. firms said 15 percent or more of their IT budget was going to machine learning in 2017. So this is a field that’s growing and in need of programmers. This is an incredibly comprehensive course from Georgia Tech on edX. Not only will you get a grasp on Python, but you’ll also be taught the fundamentals of computer science and the theories behind programming, including variables, operators, data structures, error handling, and data structures. The course delivers all this material through a combination of short videos, multiple choice assignments, and live programming problems. At 200 recommended hours of instruction over 20 weeks, the course is the longest on our list. If you want a more structured course, this virtual classroom from QuickStart might be the way to go. It places you in a four-day intensive class with other students and a live instructor who walks you through materials, answers questions, and oversees lab work. This class will go over the basics of Python coding and more advance concepts like APIs, resulting in a certificate upon completion. Indeed, QuickStart promises that you will be “effective with Python immediately after the course.” But it’s not cheap: Seats go for nearly $2,500 a pop.